Tickets are now on sale for all of Strange Town’s December shows. 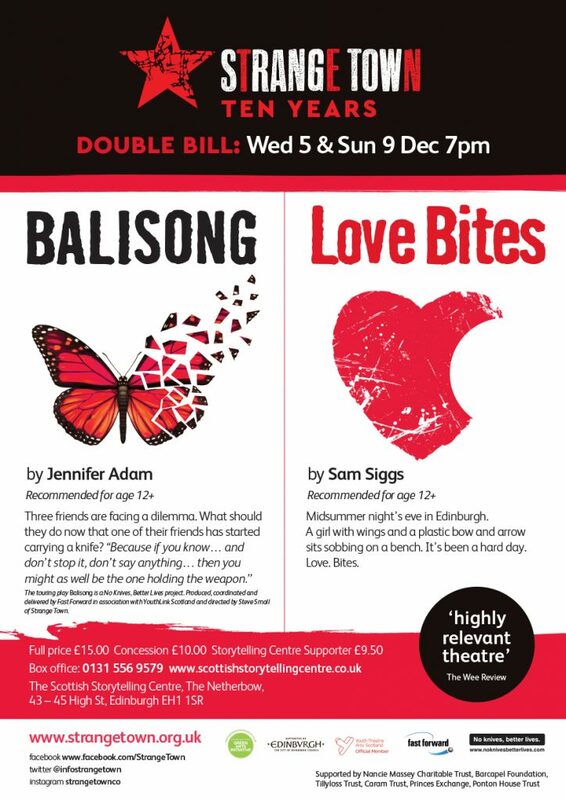 We will be performing at the Scottish Storytelling Centre from 5th-9th December. 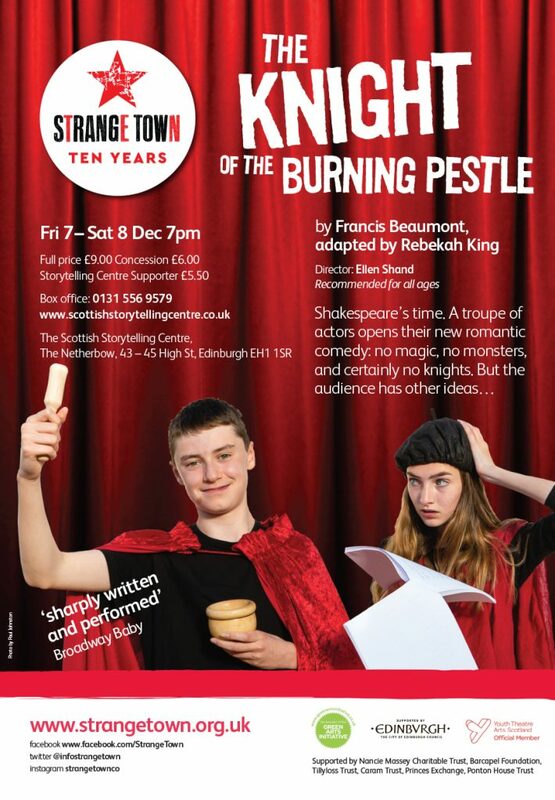 The Friday 11-14s are performing The Knight of the Burning Pestle by Francis Beaumont, adapted by Rebekah King. 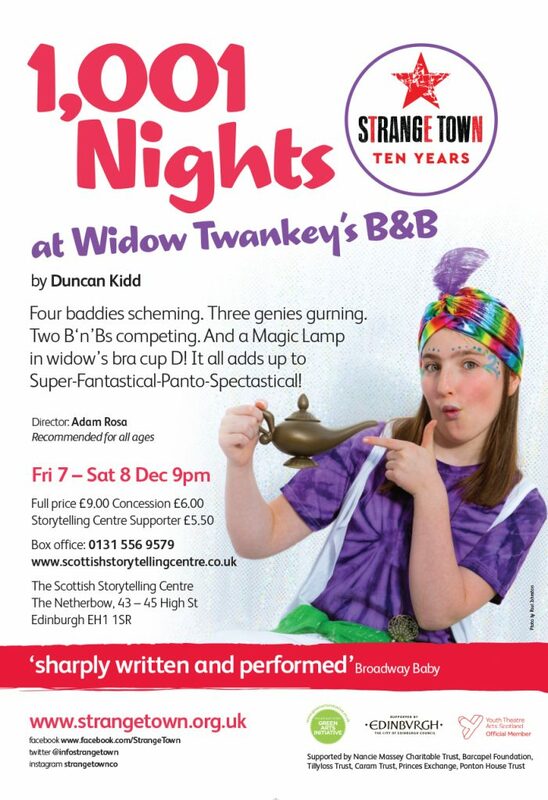 The Knight of the Burning Pestle and 1,001 Nights at Widow Twankey’s B&B photos by Paul Johnston. 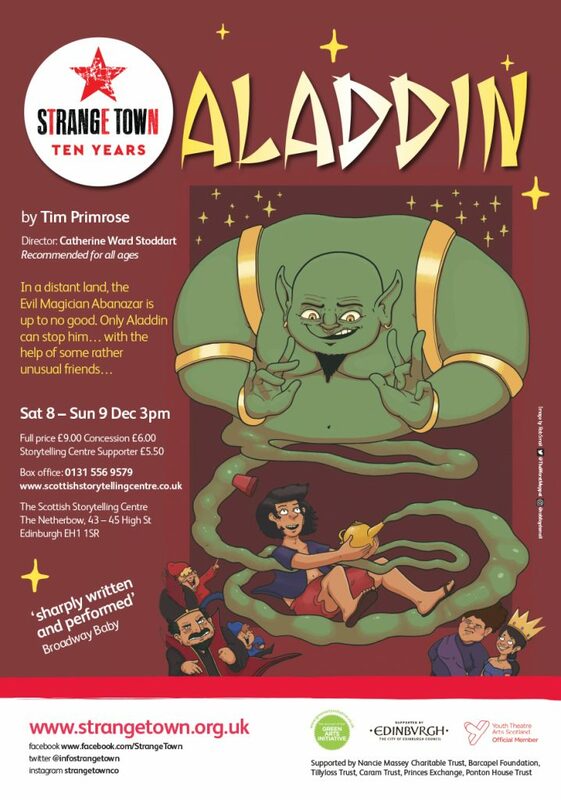 Aladdin Artwork by Rob Lloyd Small (find him on Twitter or Instagram). Flyers designed by Emma Quinn.